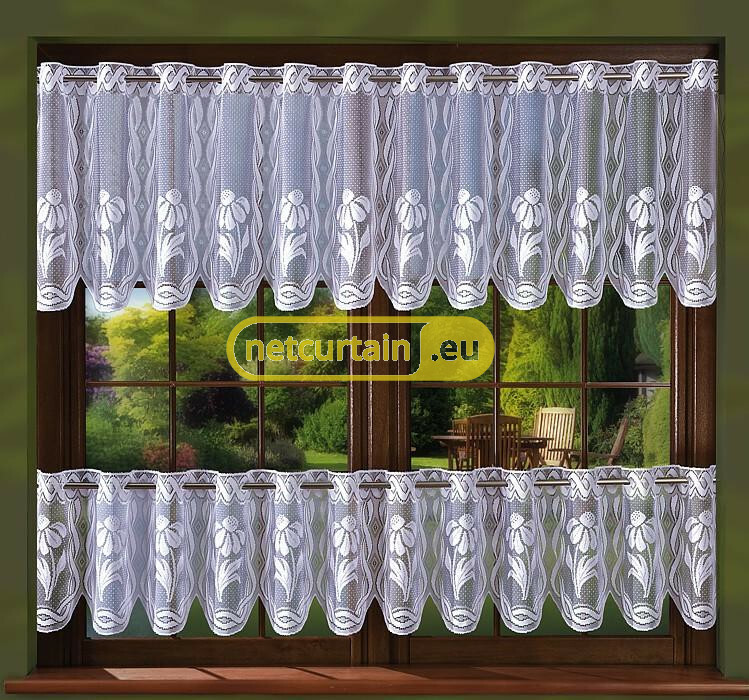 Cafe curtains in white or creamy colour. Available in three sizes and sold by the metre. 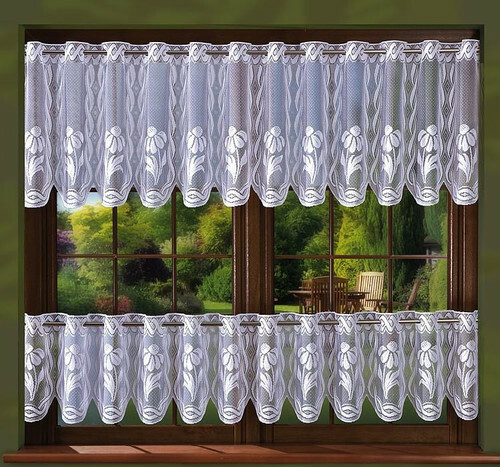 They have holes to push it onto the curtain rod.